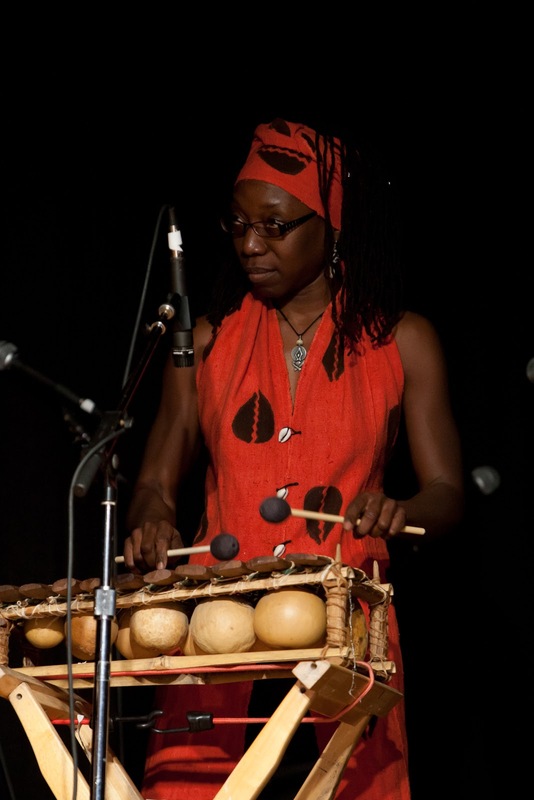 Mar will lead a lively, interactive workshop on April 3, with an emphasis on West African rhythms. All levels welcome. Please bring a drum -- djembes, djun djuns, congas -- and/or percussion instrument. 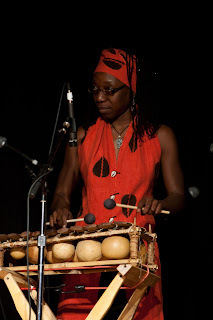 Extra djembes and congas will be available on a first come first serve basis. 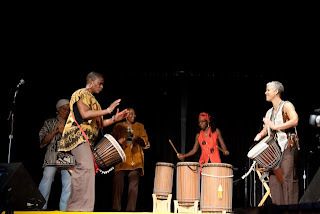 What to Bring: Bring a drum if you can -- djembes, djun djuns, congas -- and/or percussion instrument. Extra djembes and congas will be available on a first come first serve basis. 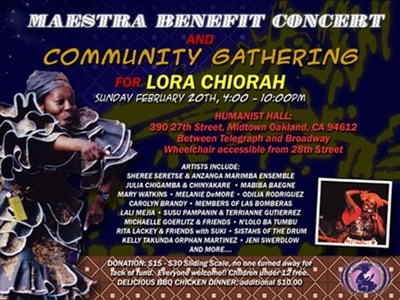 Charlene Gumbs tears it up in her debut performance with Sistahs of the Drum who were honored to participate in the recent fundraiser for Lora Chiora-Dye. 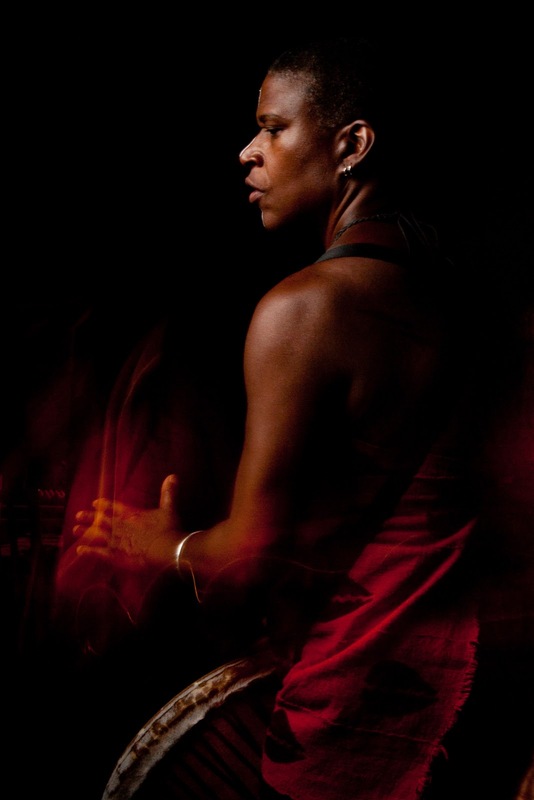 Donations can still be made to assist this amazing woman in her recovery from a brain aneurysm. 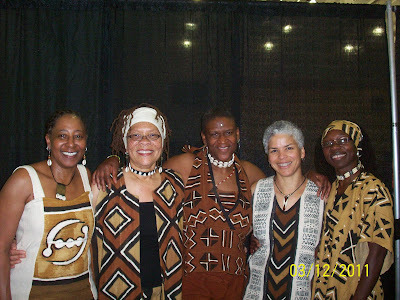 Zenju Earthlyn Manuel and Simbwala Schultz have retired from Sistahs of the Drum but not from drumming. 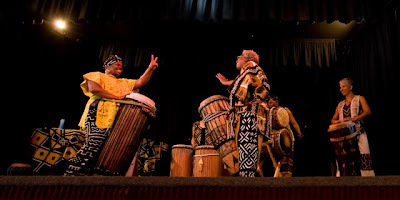 In their new formation the Ancestor's Daughters, they will answer the call to use their drumming and use of other percussion instruments in healing rituals and spiritual ceremonies. Stay tuned for future collaborations with Sistahs of the Drum and any rituals and ceremonies led by the Ancestor's Daughters.